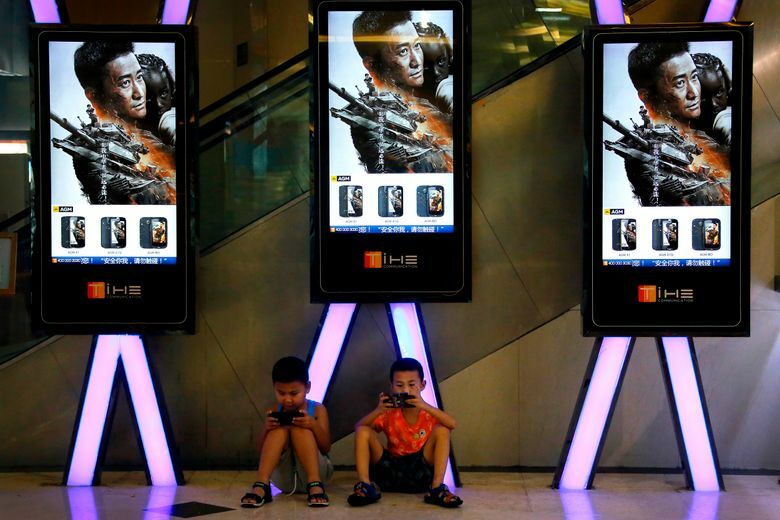 NEW YORK (AP) — Even as trade tensions are mounting between the United States and China, the importance of Chinese moviegoers to Hollywood has never been more apparent. Global moviegoing reached a record high of $40.6 billion in 2017 despite a downturn in audiences at U.S. and Canada theaters, the Motion Picture Association of America said Wednesday in its annual report. That was despite the lowest attendance at domestic theaters in 22 years. Instead, the growth was largely propelled by China, which accounted for $7.9 billion in ticket sales in 2017. That fueled a 7 percent increase in the overseas box office. U.S. and Canada ticket sales by comparison totaled $11.1 billion, down 2 percent. If not for a 4 percent increase in the average ticket price to $8.97, the drop would have been worse. But after briefly stalling in 2016, the needle is going the other direction in China. The shift has in many ways already begun. For the first time, the Chinese movie market overtook North America in the first quarter of 2018. 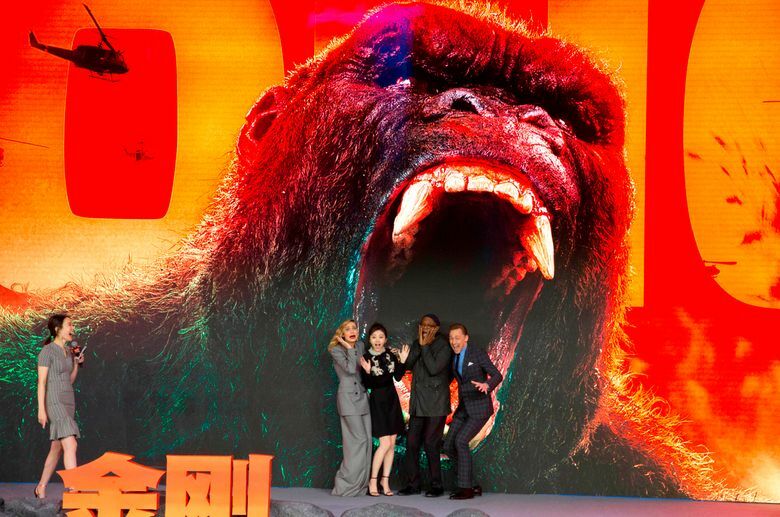 Several big-budget Hollywood productions, including Steven Spielberg’s “Ready Player One,” ”Pacific Rim: Uprising” and “Tomb Raider,” debuted bigger in China than in the U.S. and Canada. The growing importance of Chinese movie theaters to Hollywood comes at a sensitive time for relations between the two countries. In response to moves by the Trump administration, China on Wednesday unveiled proposed tariffs on numerous American products, rocking the stock market and stoking fears of a larger trade war. Restrictions on film imports to China are already considerable for Hollywood; the country caps foreign films at 34 per year. The Office of the United States Trade Representatives is currently negotiating to lessen those terms. “We remain hopeful,” said Rivkin of the negotiations. While pessimism often abounds about the future of the theatrical business in North America, due in part to digital upstarts like Netflix, Amazon and Apple, the MPAA sought to paint a more optimistic picture. John Fithian, president and chief executive of the National Association of Theatre Owners, attributed any year-to-year ups and downs to the quality of the releases. Among the statistics trotted out by the report: more than three-quarters of the U.S. and Canada population — 263 million people — went to movie theaters at least once in 2017. The gender split of audiences was exactly 50-50. For the first time, the report expanded to include home entertainment revenue. And despite the cratering of the DVD market in recent years, global home entertainment grosses have increased the last two years, thanks to rising digital sales: $32.1 billion in 2017, up from $24.5 billion in 2016. Those totals, however, include subscription streaming services, which many consider a threat to theaters. Frequent moviegoers aged 18 to 24 also appeared to decrease after a bump last year. The MPAA earlier reported 7.2 million such moviegoers in 2016. In 2017, it was 5.2 million. The MPAA attributed the difference to a change in research methodology, shifting from phone surveys to online ones. Despite being among the most overlooked demographics in the movies themselves, Latinos made up 24 percent of frequent moviegoers in 2017, despite accounting for 18 percent of the population. But one of the brightest new markets for the MPAA is Saudi Arabia. On Wednesday, AMC said it would open the country’s first movie theater. “It’s literally as fast as we can build them and they will come,” said Fithian.